Cooking With Swapna: Peanut chaat - Beach style !!! 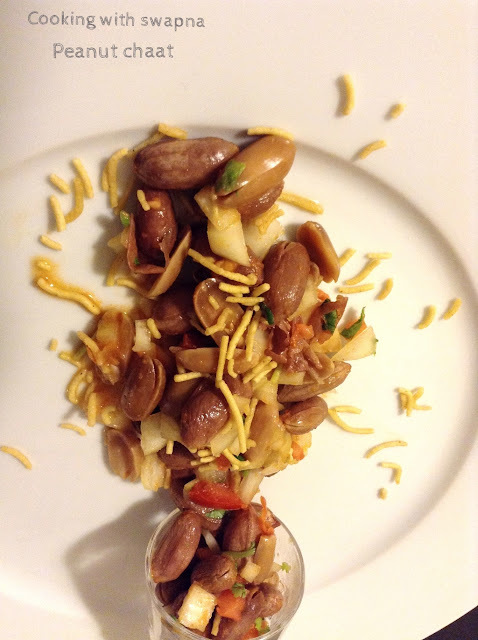 Peanut chaat - Beach style !!! 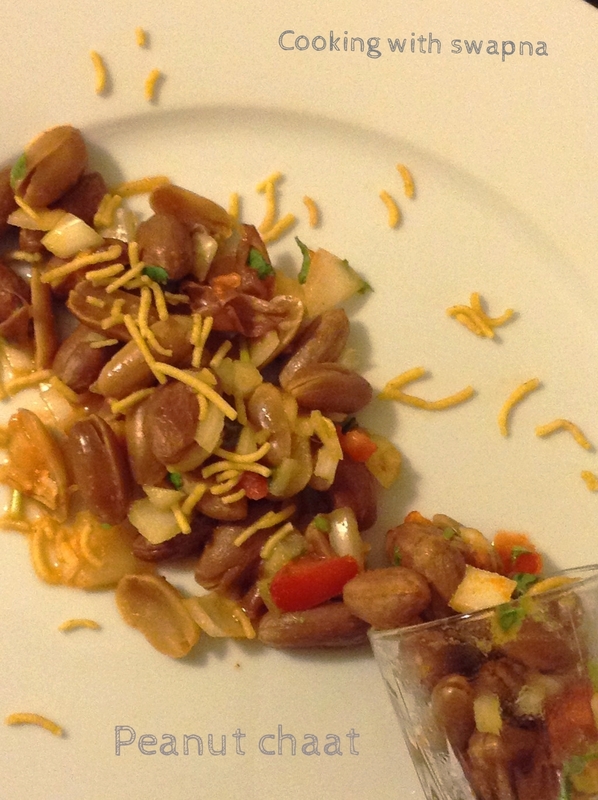 Indian street food is full of flavours. There are different ways to make this dish. 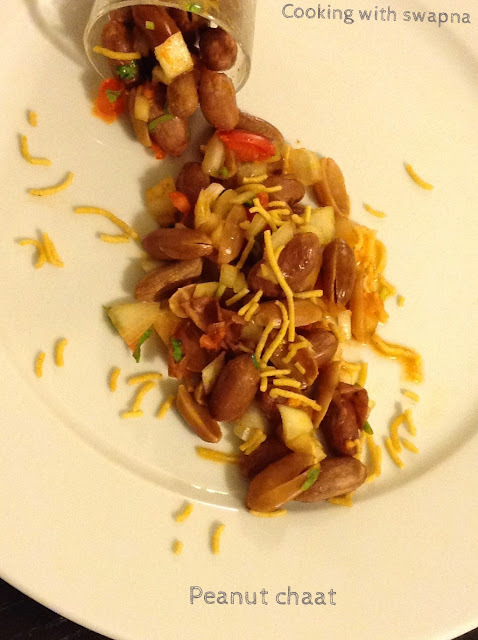 Addition of vegetables like grated carrots and cucumber makes it more healthier. Perfect snack & it taste heavenly. 1. Soak the peanut for few hours and pressure cook them in salted water. 2. Mix together peanut and other ingredients in a large bowl. 3. Garnish it with sev. Cumin Khakhra - Very crispy !! !